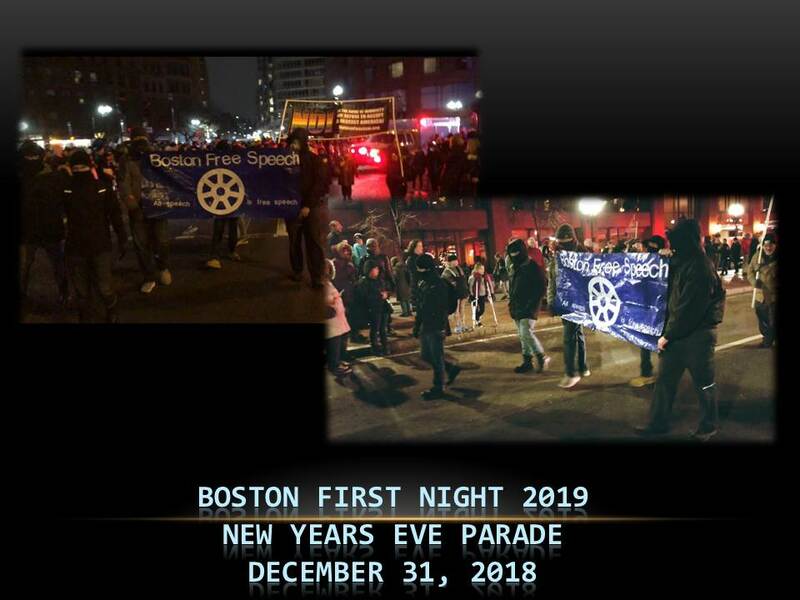 On New Year’s Eve 2018, Boston Free Speech helped Massachusetts ring in 2019 by taking part in the First Night Boston event. Since 1975, Boston has rung in the New Year with parades, live music, and fireworks at its First Night event. More than 200,000 people partake in this event. 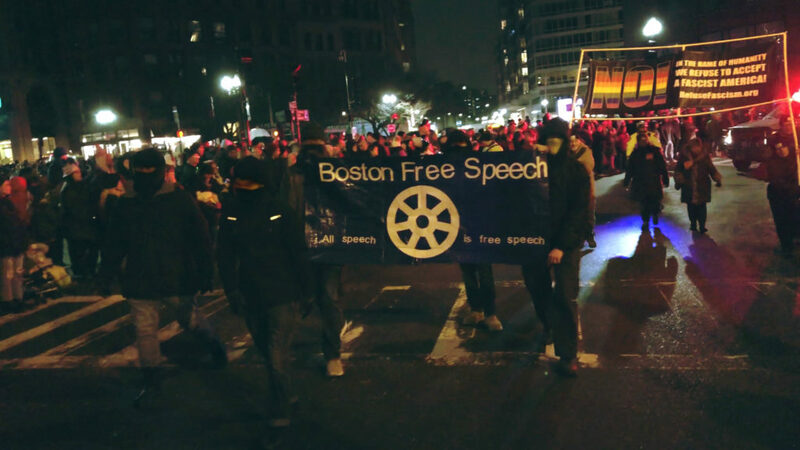 In the weeks prior, members of BFS made a banner and flyers with the intent of raising awareness about corporate censorship, and other attacks on free speech. BFS wanted to partake in the annual parade called the “People’s Procession”, which starts at Copley Square and ends at the Boston Common. In past years, local far-left groups often joined. This year, BFS came to remind everyone that All Speech is Free Speech. not just the speech you like. As the parade made its way to the Common, members sprung from the crowd, deploying a banner with our name and message. The City of Boston welcomed the contingent with cheers and other support. Moving down the parade route, the chants of “all speech is free speech” were echoed by the crowd. Members of BFS stayed aware for far-left pro-censorship threats who have been known to become violent towards those they disagree with. ANTIFA however was nowhere to be found, adding another event to the list of actions ANTIFA has hid from. No incidents were had, and the action went off without a single hitch. Members then melted into the crowd which continued to show love as they walked off of the street. 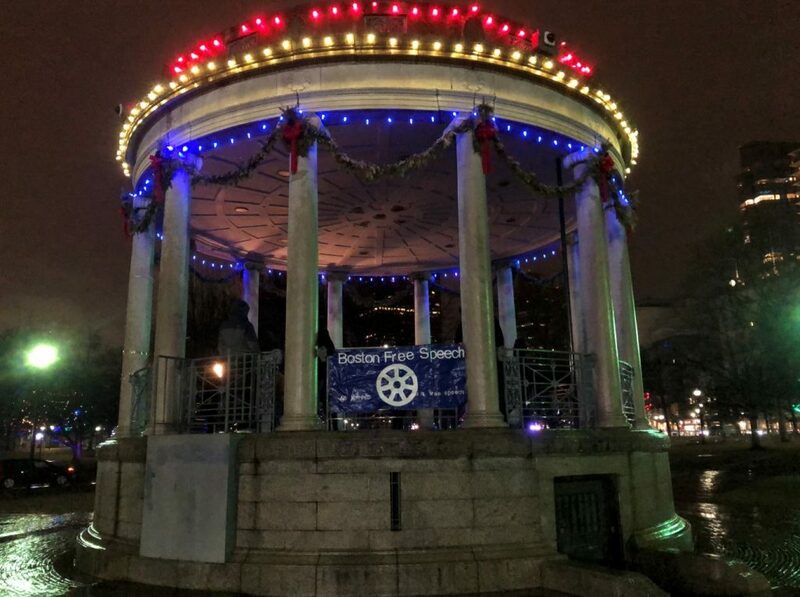 Many in the City of Boston, as well as surrounding communities, were more than happy to show love for our Constitution in 2018, and we had a year of sweeping success. Here is to 2018, and an even better 2019!